We have a large private lot for your convenience. Cedar Knoll specializes in customizing great events for you and your guests. Whether it is for a birthday party, bridal shower, office appreciation, retirement, anniversary, or wedding you are planning, we are here to help make your special day most memorable for you and your guests. We look forward to hearing from you and having you be our guest! We offer full service on and off-premise catering through our catering division The Joy Of Eating. Visit us at www.joyofeatingcuisine.com for offsite event planning information and www.cedarknollva.com for on site private events in any of our beautiful private event spaces. 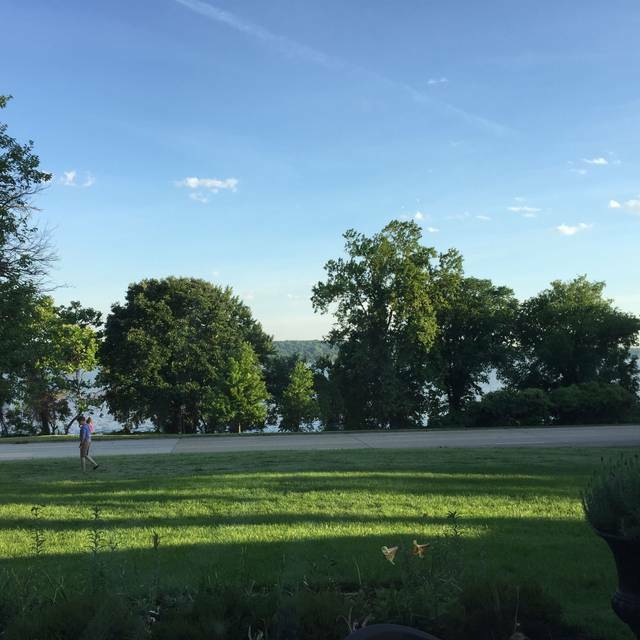 Established in 1941, Cedar Knoll is a historic restaurant with sweeping views of the Potomac River. Cedar Knoll is set just off the beautiful George Washington Parkway, which makes for a scenic drive. 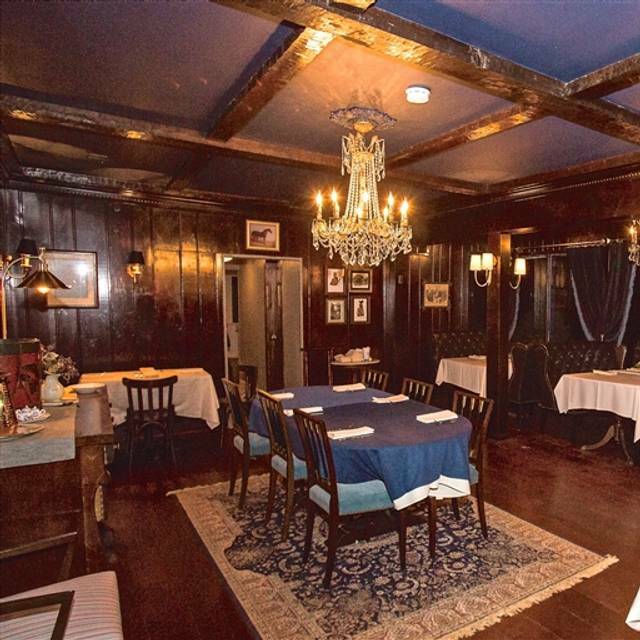 The restaurant was built around a log cabin dating back to the early 1800's, so the history is apparent from the moment you step inside. Each room possesses charming qualities adding to the ambiance. Whether you dine in the comfortable elegance of the Presidential Room or the natural splendor of the Botanical Room, both set the perfect stage for an evening with family, friends, and loved ones. Cedar Knoll is conveniently located minutes between Old Town Alexandria and George Washington's Mount Vernon Estate. Having been clients of the Inn since 1970, we have known a variety of management over the years. The venue is perfect, both inside and outside dining, but a bit more training of personal would be appreciated: the hostess pointed us to our table, and left immediately. The table was for 5 when we were 6 guests, with no room to add another setting. Drinks were long in coming. Buffet: twice we had to ask for plates, several dishes were empty at salad bar. Roast lamb was tasty but not carved well (lumpy pieces, some inedible) and mint sauce spoiled by addition of cilantro. Egg and salad stations good, also dessert table. Went for Easter Brunch, hard to criticize because the food was excellent but there was not enough quantity or selection. The main proteins were Crab Cakes and Lamb. For such a limited offering the crowd and line was too long. Our server seemed to be in LaLaLand and everything took 30 minutes longer than it should've. Also I ordered an omelette that came out underdone twice. The brunch was $60pp with no alcohol. Loved the restaurant itself but the holiday brunch was underwhelming. Waited two hours for the entrees. Food was poor overall. I probably would have given this 5-stars had it not been for the service. 45-60 minutes between appetizer and main course. Granted it was a holiday weekend. Needs much better pacing between courses. My steak was worth the wait; DELICIOUS!!! Cedar Knoll is a lovely Inn! Great views, really nice professional staff, and wonderful gourmet food. It is very handicapped accessible as well. There is parking right outside the door. Very easy for my 92 year old father to get in and out with his walker. We went early at 5pm on a Tuesday and really enjoyed the view of the river. We had the gorgeous lobster and scallop risotto and the tasty homemade quick-bread. Very easy for dad to eat. We enjoyed our evening there very much. My brother's family went the following night and they all loved it, too. Very homey, special but not too formal. The menu has something wonderful to please everybody. This is not your parents' Cedar Knoll. 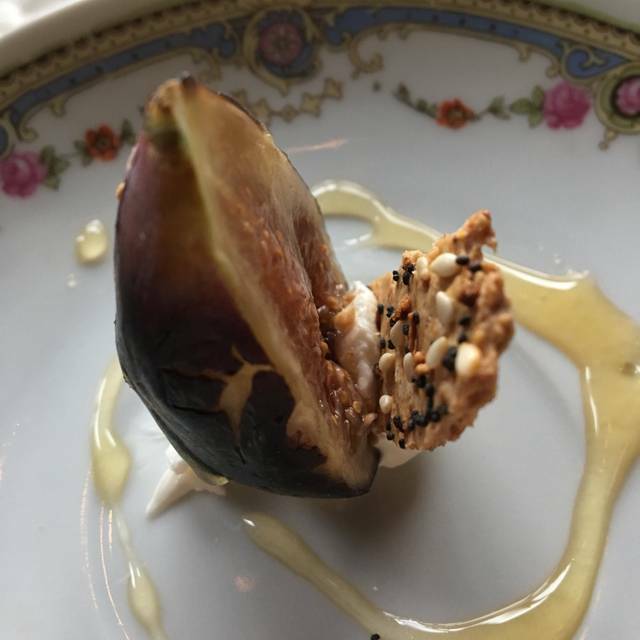 Now under new ownership, Cedar Knoll finally offers food that matches the extraordinary views of the Potomac. Already looking forward to returning. food was outstanding but service was slow and not kept informed on status of order. would recommend because of the food and ambience. My wife and I met a friend there to celebrate my birthday. Food was great. Service was outstanding (Kudos to Sophie). Noise level was acceptable and it was easy to talk. We sat in a booth that had a great view of the Potomac. This was our second trip and we will be back again soon. Very intimate and quiet dinner at Cedar Knoll. Very nice wine, appetizers, salads, entrees, deserts. Memorable dining experience for a very special occasion. It was excellent!!! The atmosphere, gourmet food, drinks, and service. We will definitely be going again. 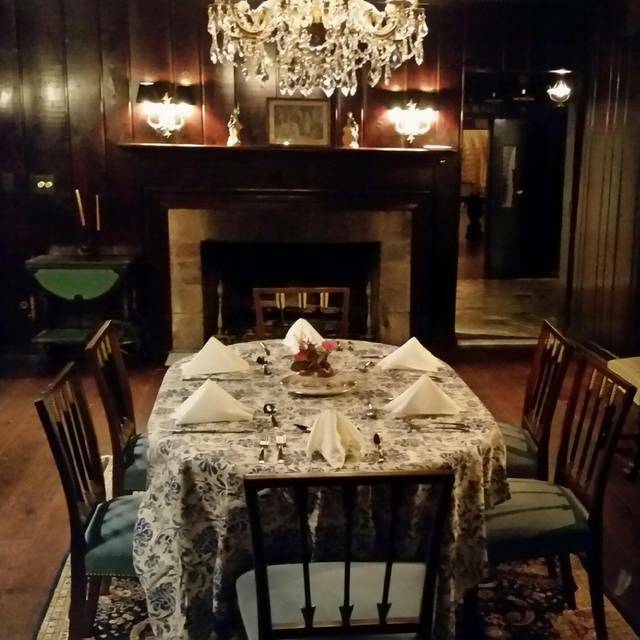 Cedar Knoll is a lovely restaurant with the ambiance of a Colonial home that is very inviting. The service is always consistent, very accommodating, professional and polite. The food is delicious but a bit overpriced. The portion is of substance but if you are expecting leftovers, you will not have them unless you eat like a bird. My disappointment is with the wine menu. Very few good selections. There are numerous Virginia wines to include on the menu but the two that are offered are of not good consumption. 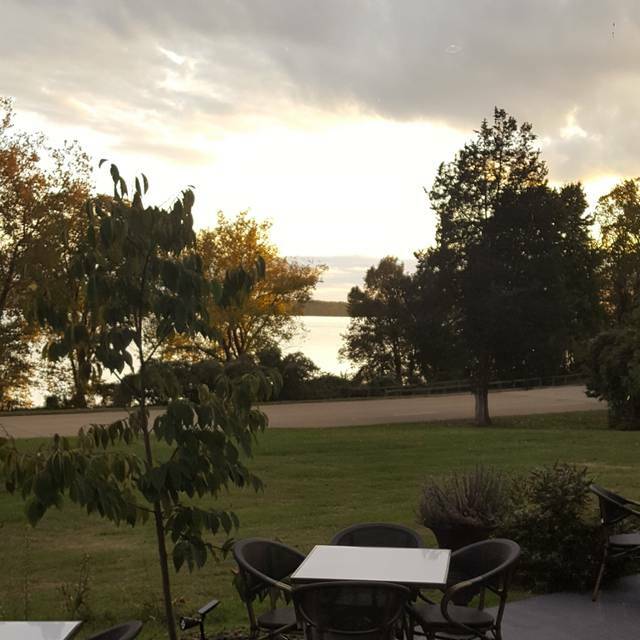 The restaurant has an outside patio with a view of the Potomac River which is beautiful in nice weather. Definitely worth trying and will visit again, just not on the top of our list. I visited Cedar Knoll on a chilly Sunday in March with two friends and had an extraordinary experience. Impeccable service and delightful courses that were both delicious and beautifully presented. Overall it was a memorable experience that I'd have rated 5 stars. I brought another guest last weekend to enjoy this special treat. It was a much busier day and overall I was less satisfied with the food and the service. There were large groups being served outdoors so that probably impacted the kitchen and servers. I never received a requested refill for iced tea. The lovely biscuits that precede the meal were dumped on the table in a rush. The entrees were okay, certainly not special. Cedar Knoll has so much going for it. I will probably try it again and hope for a better result. I attended a Rotary Alexandria Central event where Cedar Knoll was a participant and provided samples of food and photos. I knew it would be great because a few times I tried to dine there, the parking lot was full, so I was excited to finally get in. Everything was delicious. I have in the past heard Cedar Knoll has a poorer reputation. Not sure where this comes from. The entire experience was five star. The food the service and the view where all excellent. The staff friendly and informative about the menu. Just go you wont be disappointed. Great food in a beautiful location. Good place to celebrate special occasions. The food and drinks were amazing. From the appetizers to the main course. Always a great dining experience, so elegant! The mushroom tart is interesting, but does not have a strong distinctive flavor. The service was good. Absolutely outstanding. 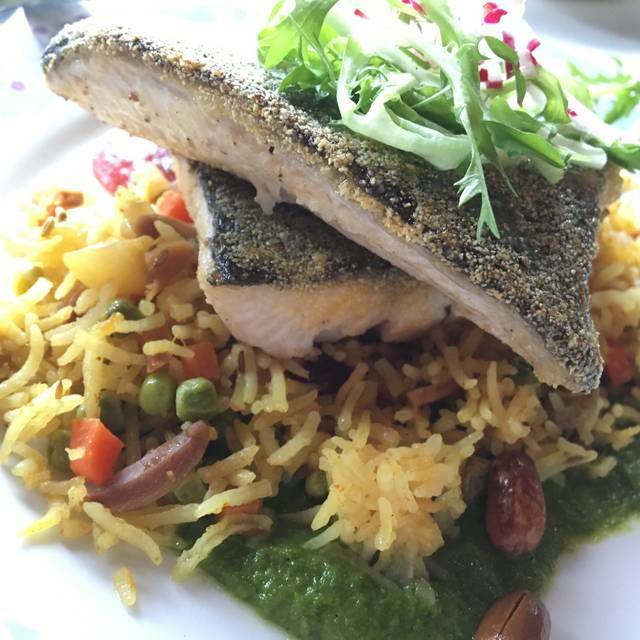 Excellent food at a reasonable price in a historic building with an amazing view of the Potomac. Wife and I literally had dessert in front of a roaring fire. Can't ask for much more. Enjoyed it very much. Beautiful setting, delicious food. The food was wonderful, the service fantastic, the ambiance is unique and the view beautiful. We were there for our anniversary and out expectations for a romantic dinner were met. 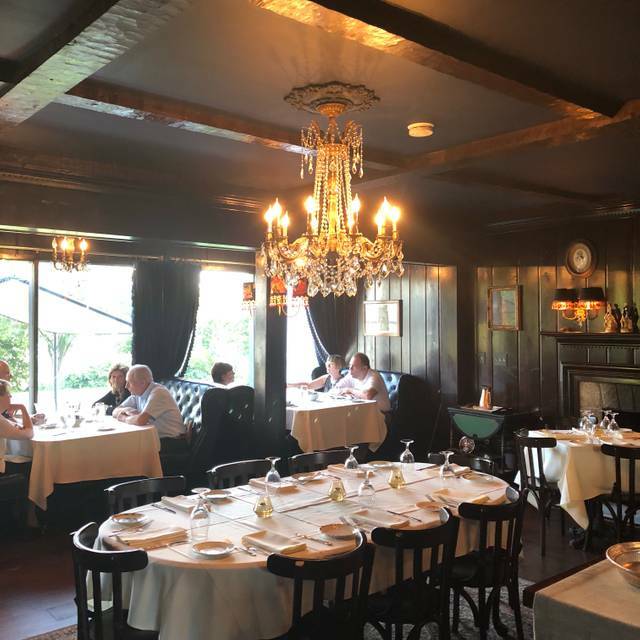 A pleasant ambiance but rather pricey given the average quality of the food and service. Not for St Pats...band skilled but no Irish music! LOVE this place. Andrew the owner has really elevated it and it is wonderful place to go for a drink, pizza night on Tuesday/Wednesday, or just to hang by that fireplace! We love it here. Sun an issue when sitting next to window. Food was good and service very good. Our server was almost non existent. 35 minutes after we were seated we still hadn’t put in our appetizer order. In that time she only visited our table twice. The food was excellent thankfully. There were only 3 tables in the main dining room, so zero excuse that she was busy. It was truly ridiculous that an establishment of this caliber would have such an issue with service. My friend and I had a wonderful time at Cedar Knoll. It was our first brunch there and we were seated in the room hosting George Washington's portrait! I don't know the formal name of the room. We were seated promptly and were served delicious mini-buttermilk biscuits with peppered jelly. They were SO good! We both had the bacon cheeseburger and switched out the fries for a veggie medley. Everything was so delicious. The bun tasted like a very light textured Challah type bread. They gave us two patties each of the beef which was top-notch. 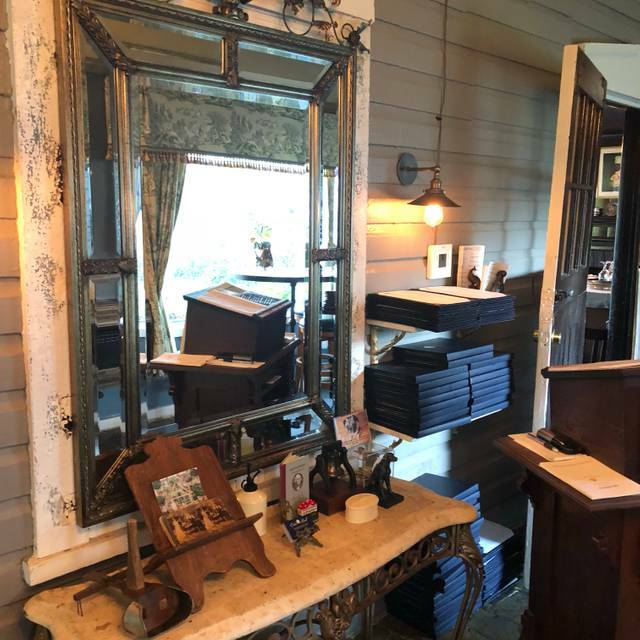 I loved our room with beautiful antiques galore, and knowing it is a historical farm owned at one time by George Washington himself created more intrigue. They also have other separate rooms where you can be seated. Prices were great for what we ate. Very reasonable. No upcharge for the veggies. Highly recommend! This is our go to restaurant for our out of town guests. The food is outstanding and unique with amazing flavor combinations. The ambiance is also unique, bathed in history. The perfect spot for lunch or dinner. OMG. So good! 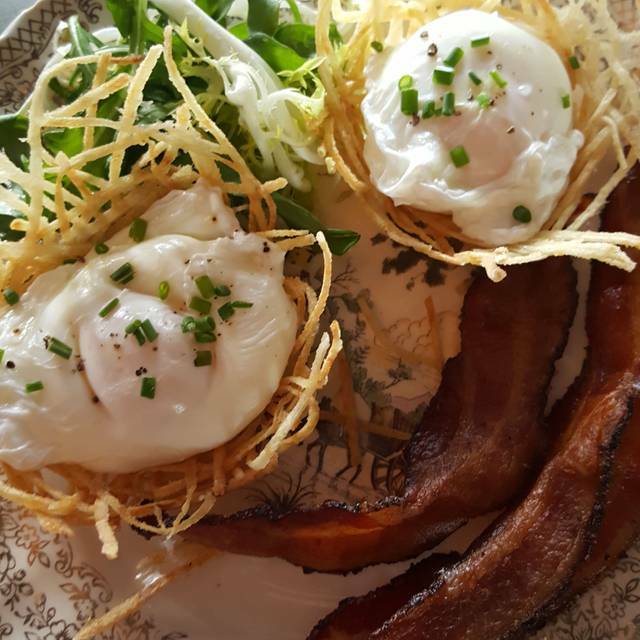 Brunch was some of the best ever. Those tiny little biscuits they bring out are heaven. Ask for more. And more. Best seating is in the room with the fireplace. It has booths and regular tables. The garden room or whatever it is called does not have nearly the ambiance of the fireplace room even if the fireplace is not lit. Beautiful views of the Potomac from either room. Outstanding Valentine's day dinner, but I feel it was a bit expensive. This is good for one-time customers, but I will not be back again for special dinner celebrations; just too expensive. The food was fantastic. The ambience very nice. The overall experience was greatly damaged by a group of drinkers in the small, intimate dining room. When we arrived four people were sitting on the sofa in front of the fireplace drinking liquor. As the evening wore on, they were joined by six more drinkers. The space was not designed for that many people and their activities were not compatible with couples out for a special night of a romantic dinner. It was not entertaining to listen to them overtalking one another to claim they were more red necked than the others. The party was getting even louder as we left. Management should not have seated 10 people in a small space to drink alcohol for an extended length of time. When we came in, we thought the people were waiting for a table to be seated for dinner. Little did we know, our entire evening was to be overshadowed by their rudeness. This was my first time there and it was so amazing! The food was so delicious! We came for Valentine’s Day. It was also our first time dining here after becoming familiar with the restaurant following our wedding at the nearby River Farm. It was a very pleasant dining experience with a lovey quiet ambiance of simple surrounding conversation instead of unwanted satellite music. We were able to have conversation without yelling. The table were dotted with rose petals and the severs were attentive without being overbearing or hovering. The food was very good and well spaced by courses so as not to overwhelm the pallet or overfill the stomach. Overall a lovely experience.